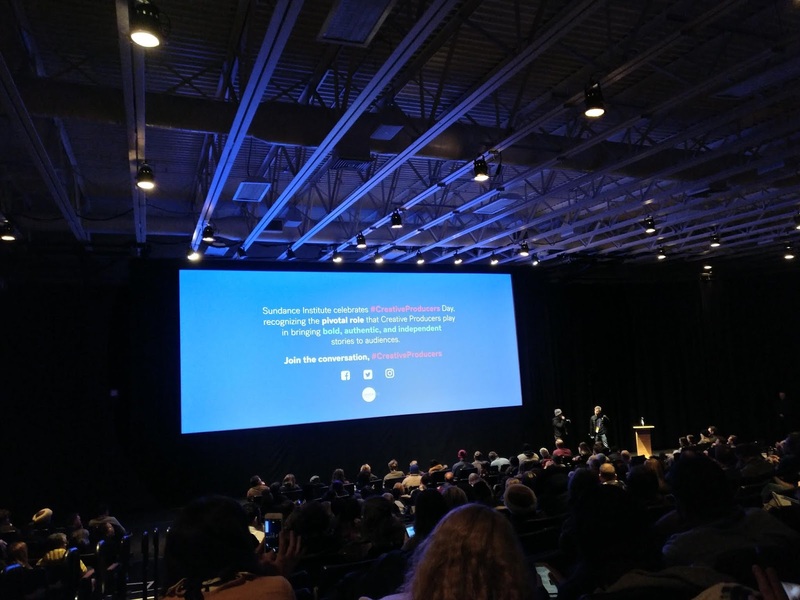 Almost a year ago, I traveled to USA to volunteer at Sundance Film Festival. It all started with an accidental Google search. One day, I was writing one of my short stories and for my research I need to check some fact about the film “Butch Cassidy and Sundance Kid.” No, I’m not a professional writer. Like cinema and traveling, writing is one of my passions. I just typed “sundance” and hurriedly pressed enter. In no time I was exploring the Sundance Film Festival website instead. Their volunteer program caught my eye and subsequently, I applied for a volunteer position. 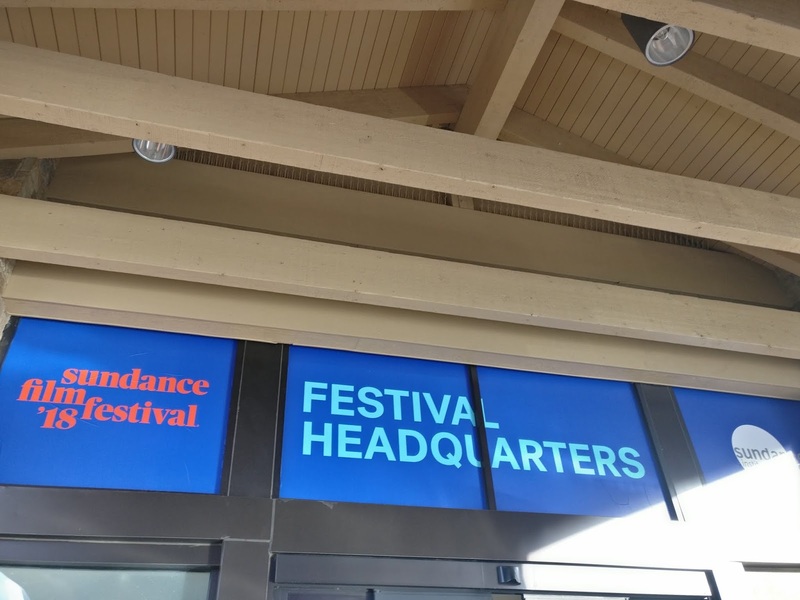 So its not like I was not familiar with Sundance film festival. Being a huge Cinephile, I’m following the festival since many years. One thing led to another and I got selected for the volunteer program. After watching “America” in numerous Hollywood films, visiting America was always in back of my mind. To go or not to go: That was the question. After much deliberation, I thought it would to an exciting experience for me. So, I hatched a travel plan by adding NYC & LA into my USA itinerary. No accommodation is provided by the fest. One need to take care of his/her accommodation. Very few Full Time Volunteers may receive accommodation by the fest. Find and book your accommodation well in advance as it gets really difficult to find a place close to the fest. 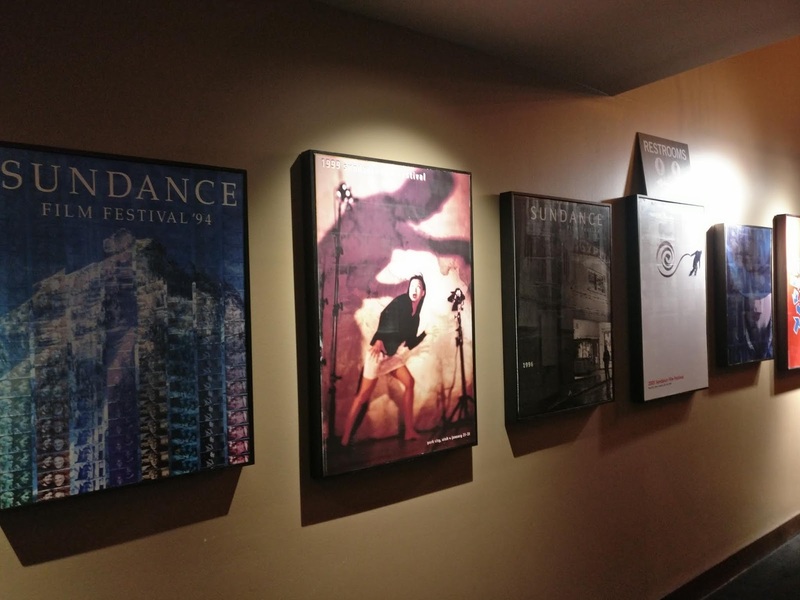 There are basically three places where Sundance Film Festival takes place in UTAH i.e. 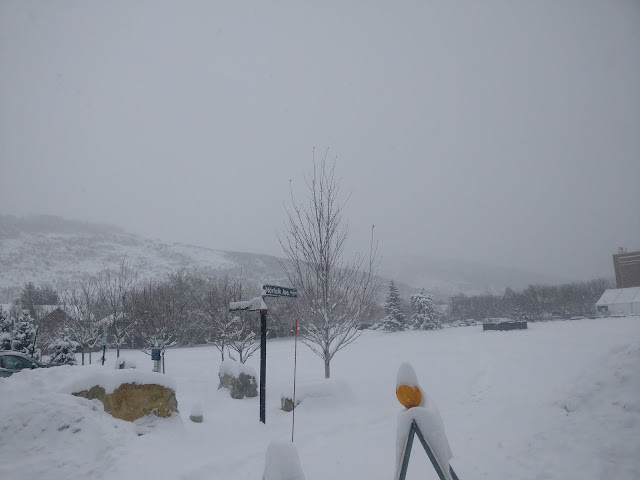 Salt Lake City, Park City and Sundance Resort. The main location or where the main action happens is Park City. Its best to book accommodation where you are assigned as a volunteer. 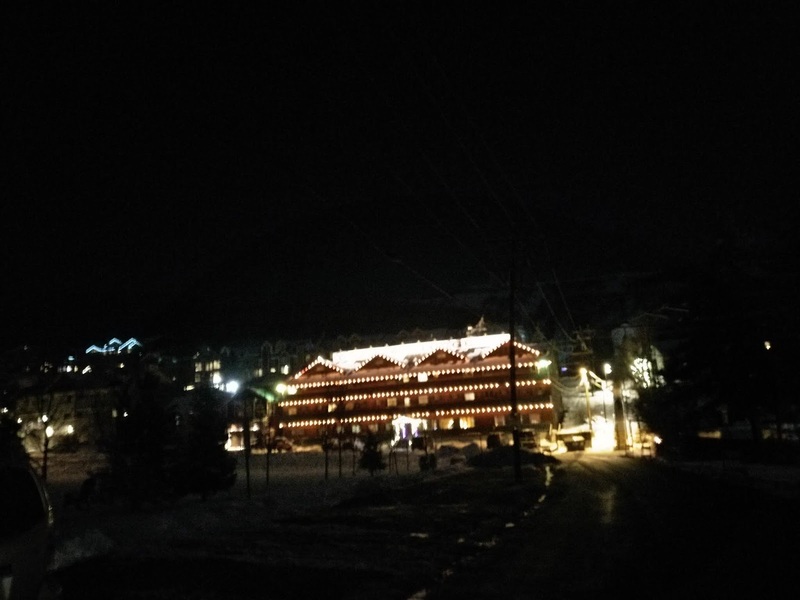 I stayed at a lodge nearby Library Theatre. There is no full time meals provided by the fest but there is a free refreshments (snacks/coffee/noodles) room open from 8 PM to 6 PM at Sundance Film Festival Volunteer Hub located at Park City Marriott. 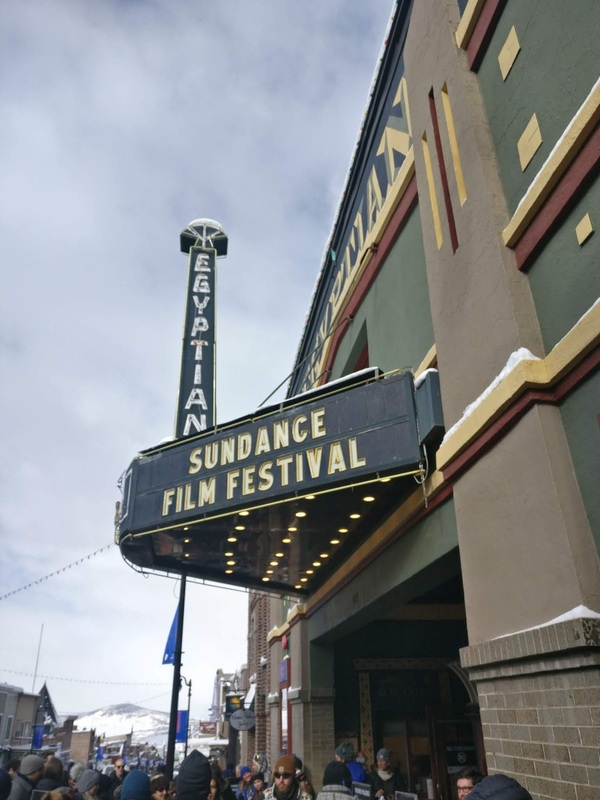 During the Sundance Film Festival, free shuttle bus service is available for everyone in Park City. Bus service is frequent and runs between the festival locations/theatres. Great bus service as I used to catch a bus back to my lodge late at night around 2 AM. First and Foremost, the experience itself is priceless. Apart from that a Jacket, Volunteer Credential, Refreshments (as mentioned above), Access to the Volunteer Appreciation Party, There are few movie screenings just for volunteers and for almost every screening, a certain number of tickets are set aside for volunteers. For every 4 Hrs of Work, Sign Up and Half Fest Volunteers receive one movie screening pass/voucher. Full Time Volunteers get unlimited access to Movie screenings via Volunteer Line. There are three types of Volunteer programs: Sign Up Volunteers, Half Fest Volunteers and Full Time Volunteers. One can choose shift as per his/her convenience as a Sign Up Volunteer but in rest of the two programs, a fixed schedule will be assigned. I choose to be a Sign Up Volunteer. In this program, I need to do at least 24 Hrs of Work. Each shift is 7 Hrs long comprises of Two movie screenings. Each program has different perks. For more details about the volunteer programs and how to apply for a Volunteer Position visit the Sundance Film Festival website. I was given a role of a Theatre Crew. As per the Volunteer Agreement, my duties were as follows: Theatre Crew members will rotate between positions and should therefore be trained and willing to work in each area. 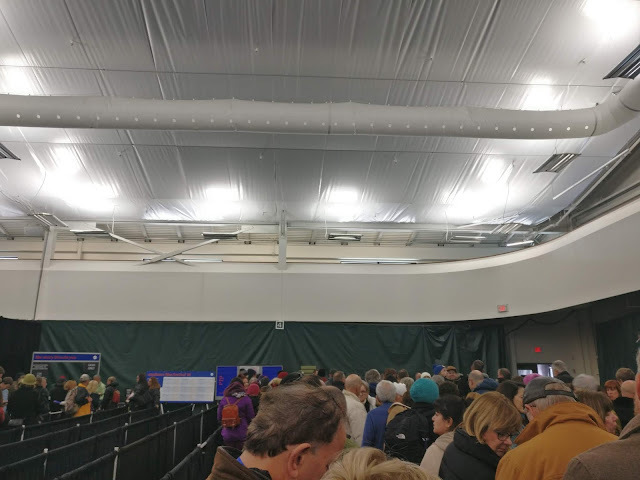 They may work to: manage lines, usher patrons into theatres, take tickets, count patrons as they enter the theatre, check credentials, hand out ballots, and/or marshal patrons to ensure the proper flow of patron traffic. Theatre Crew members may be required to operate a radio and wear a headset in carrying out these duties. Theatre Crew members will be asked to work near tents and doors (colder areas) and to assist with light snow and ice removal. As mentioned above, I was a Sign Up Volunteer. So I chose two different shifts on alternate days to accommodate the films/experiences I want to catch. First one was a late night shift from 7 PM to 2 AM. Second one was an afternoon shift from 1 PM to 7.30 PM. Late night shift was not so crowded except the popular screenings. Afternoon shift had more action and big crowd. I enjoyed the afternoon shift more. I felt positive vibes from some colleagues and cold vibes from some. My first day as a volunteer was surreal. 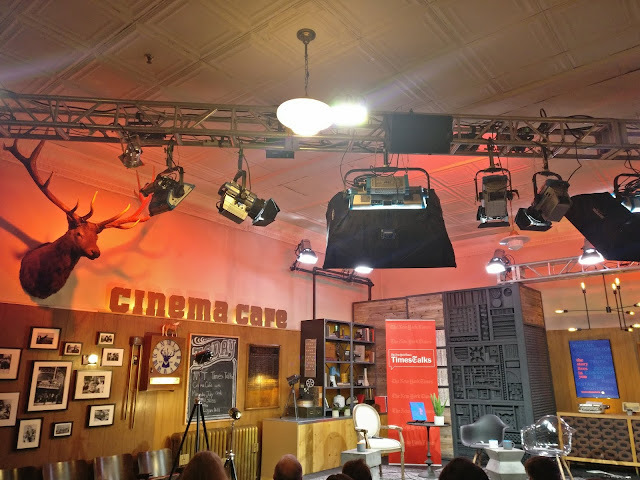 Even in my wildest dreams, I never thought I will attend the Sundance Film Festival, let alone as a volunteer. During a week as a volunteer I worked in almost all positions from Ushering patrons, Manage lines, take tickets, count patrons, check credentials, hand out ballots, work on radio, guard the door etc. The thing is If some foreigner come to India to do a volunteer work, we would do our best to make him/her feel at home. I agree that the Indian hospitality is a huge benchmark but in my mind I was expecting somewhat on the same lines which was wrong on my part as I learnt, it is more of a corporate culture in USA where one paves his/her own path. Gradually, I learnt the ropes and start enjoying the work. Special shout out to an old lady in our team. She is a genuine, hard working and really nice person. 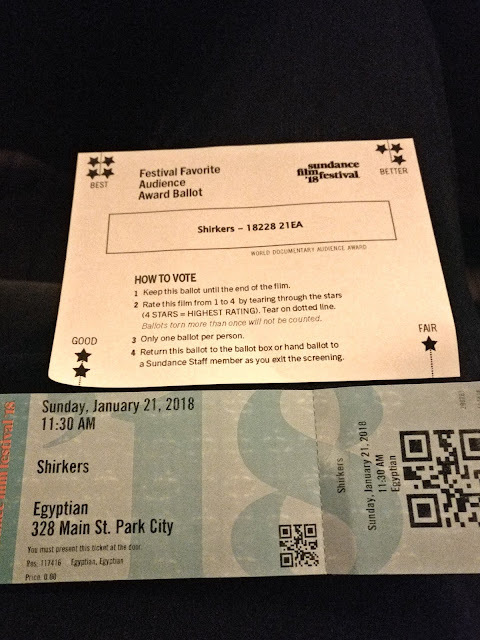 I would strongly recommend the volunteer experience or Sundance experience to all Cinephiles and rest can form an opinion based upon my post! Apart from volunteering, I saw many films at the fest thanks to the enough movie vouchers I have earned in exchange of my volunteer work. Below are the films/experiences I saw(during my free time) apart from the films I saw during my working hours as sometimes I was positioned inside the theatre. Filmmaker Lodge: A cosy studio where filmmakers/actors/artists/journalists come and interact about cinema. Jane Fonda In Five Acts: The first film I saw at the festival. A Documentary film on the legendary American Film Actress “Jane Fonda”. I really enjoyed it. Shirkers: Another documentary film which plays like a mystery thriller while exploring themes like nostalgia, closure and longing. 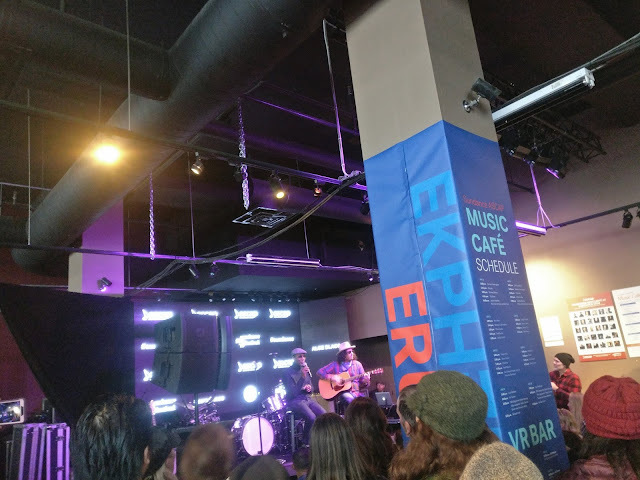 Music Cafe: A great place to stop by to catch live music and get back into your groove! Madeline’s Madeline: A film set in a theatre world. It tries to do something different but gets too pretentious in the process. A Kid Like Jake: Good film which revolves around parents’ struggle with their four year old son’s gender identity. Priyanka Chopra has a small part in the film. Damsel: A wacky western film. It is not everyone’s cup of tea but I really enjoyed it for the most part. Mandy: A hallucinatory ride. I’m still not sure whether I saw the film or was it a dream 😉 As I saw the film at Midnight screening while half drunk and half asleep. 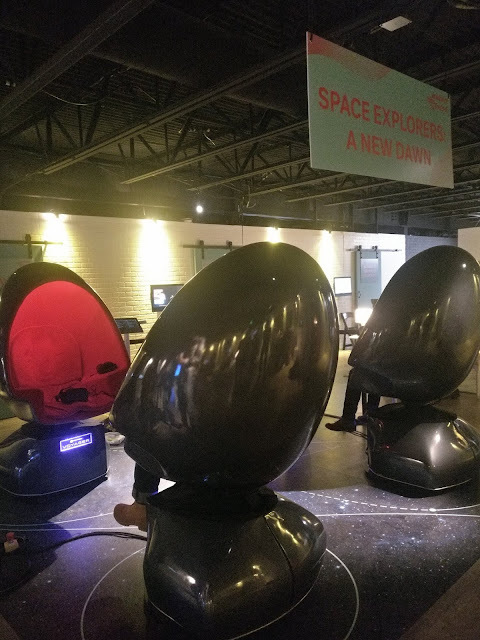 VR Program: I’m fascinated by the VR technology. So I don’t want to miss the chance to check out new and upcoming VR films/set pieces. I really enjoyed the experience but the time allotted were too less to check out all the presentations. I played a cool game, went into space and visited the NASA facility via VR technology! The Kindergarten Teacher: A film about a teacher’s obsession with her student. Puzzle: Film starring the immensely talented Indian actor “Irrfan Khan”. A feel good film. Shorts Films: The best one I saw during the festival. A collection of different short films from around the world. A short film from India “Counterfeit Kunkoo” set in Mumbai impressed me the most which tackles the important issue related to housing situation and gender equality. Sorry To Bother You: My Last film at the Festival. A weird science fiction satire film. It was strange and superb. I catch an evening flight from LA to Salt Lake City. 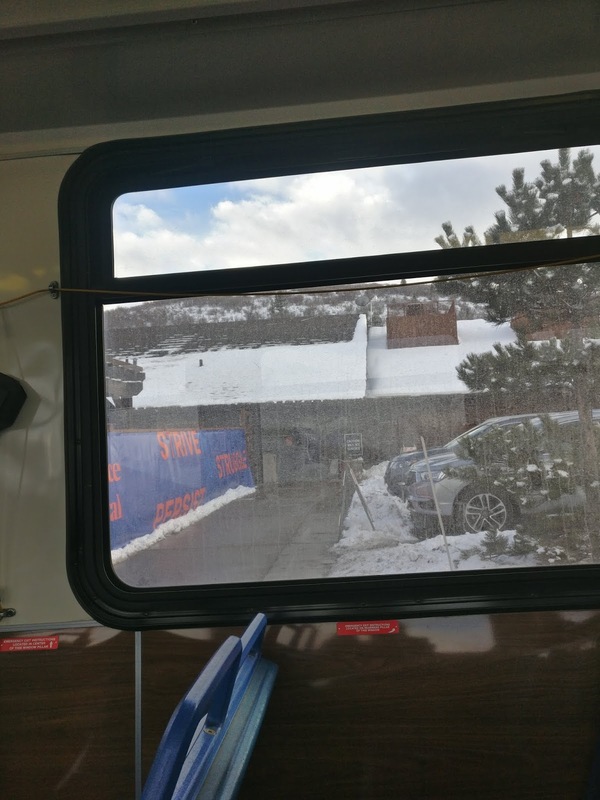 I experienced/witnessed snowfall for the first time in my life when I exit the Salt Lake City Airport. The moment I set my foot outside the airport, snowflakes welcomed me. It was a magical feeling. As A Volunteer: I had goosebumps inducing experience when I had to shout (due to lack of mic) in a big hall full of people to convey an important message. As A Volunteer: When I had to tell a guy in a stern voice to not use his mobile phone during the film screening after being told twice nicely. He did not like it and said something nasty under his breath. It was snowing that night and I was unable to find the restaurant. So I asked a guy loading some goods in his car. He offered me a ride to find the restaurant together and I get into his car. He started the conversation with the usual “Where are you from?” but soon followed by “How much does the air ticket cost from India to here?” “Why are you volunteering?” “Your english is pretty good” “Oh I forgot you people were enslaved by the British” I felt negative vibes and wanted to get out ASAP. Luckily my net started working again and it turns out we were on the wrong path. After hearing the Google Maps Navigation Voice, he fumbled “Oh okay it was on the other side”. Finally, we reached the restaurant. It was a spooky incident to say the least. It was a Volunteer appreciation day. A day when people appreciate the efforts of volunteers. During the day, many people walked up to me and thanked me for my service. It felt good to know your efforts are making some difference. When I met the only volunteer from India (as far as I know but he is living in US for a while now) at Volunteer appreciation party. It was a fun event and felt good to meet fellow countryman. It was my 4th day as a volunteer. I was doing the Afternoon shift that day. Our supervisor assigned the job to every team member for the screening of “Akicita: The Battle of Standing Rock”. A documentary film on Standing Rock protest. I along with another guy was given the job at the exit door. Our role is to not let any person(apart from the film’s crew) inside the theatre and stamp every person’s hand who leaves the theatre. It gets quite hectic during the popular screenings. On that day, it gets more hectic when we have been told that Robert Redford(Legendary Actor and Co-Founder of Sundance Film Festival) will be attending the screening and people may try to enter sneakily to meet Robert Redford. So we should be extra alert. People start lining up and we assume our position. Theatre gets full pretty soon. Finally, Robert Redford arrived with his entourage and entered the theatre. Shortly after, Mr. Redford came out(without his entourage) and asked me “Son, where’s the bathroom?” as I was the only person at the door (My Colleague himself went to the bathroom) and I replied. He thanked me before leaving. The guy with me on the duty returned back and I told him about the incident and he got really excited as he is a BIG fan of Robert Redford. He prepared himself to talk to Mr. Redford when he will return from the bathroom but unfortunately, this time he entered with his entourage. After the screening, he thanked everyone before leaving. It was surely a story to remember. He came across as a humble and gentle person. It was a surreal feeling to see him so up close and personal. I really liked some of his works from All The President’s Men, Butch Cassidy And Sundance Kid, The Sting, Quiz Show. This is a cool story and was fun to read! Your colleague must have been so gutted to have missed that one moment of meeting Robert Redford. Lucky for you to be in the right place at the right time! How fun! Our boys have had two films premier at Sundance but we weren’t able to make it for either film. I wish we had! I’ve always wanted to attend Sundance but I hate the cold haha. I’ve never thought about volunteering at a festival like this! You make it very tempting. Seems like a good way to attend. What a cool thing to volunteer at, well done. I volunteer as a photographer at summer festivals in our local area. It means my family get a free pass and we also camp for free too. What an awesome experience. This and San Diego Comic Con are on my bucket list! 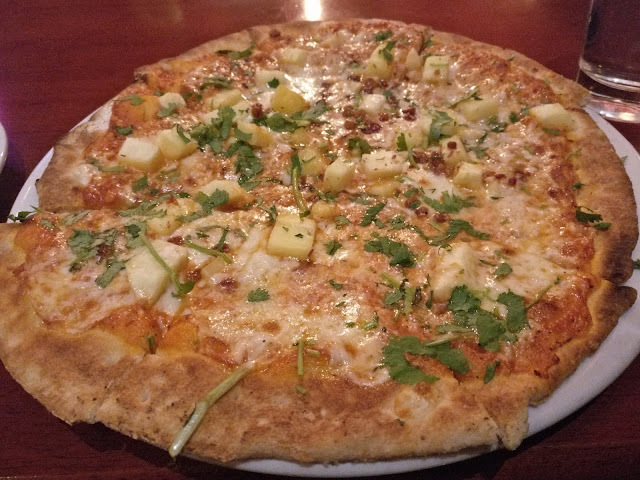 Too bad they don’t have full meals but that pizza makes me so drool! I have always wanted to watch a film from the Sundance festival. It is so amazing! What are the odds that a Google search could’ve led to this trip. It seems worth checking out. What an awesome experience! I would love to check this out if I ever get the chance! 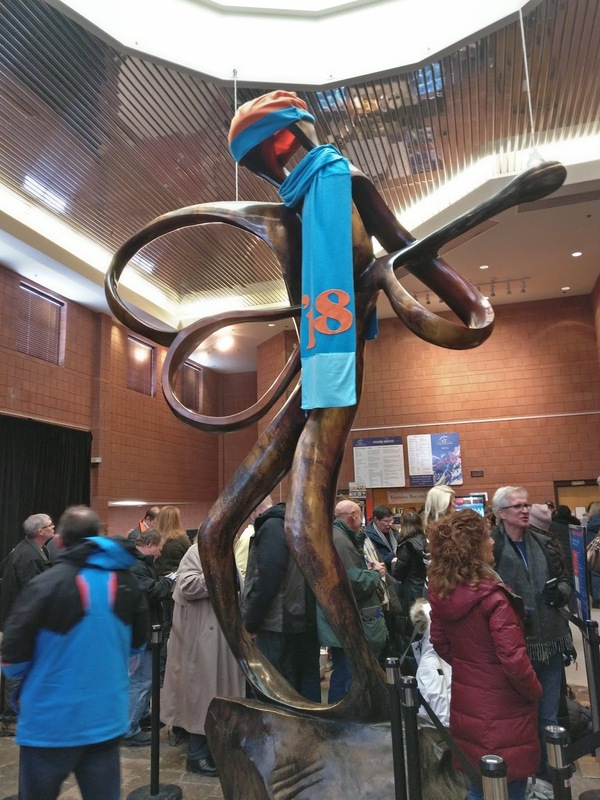 It sounds like you’ve had an amazing time volunteering for the Sundance festival. It’s so great that you get free passes to see movies in return for your work. And meeting Robert Redford, that surely had to be a highlight! What an incredible experience! My hubby used to work in locations in the Vancouver film industry and loved it, I bet he would really enjoy the opportunity to check out Sundance as a volunteer! I had no idea you could volunteer at the Sundance Film Festival rather than simply attend. What a great way to experience it more fully! I love that you get access to a special party and special screenings, that’s a great way to say thanks to their helpers! VERY cool that you met Robert Redford! What a fun experience! I live in Salt Lake City and have volunteered at the festival many times before, but never met Robert Redford. How fun! Yes, it does tend to get really crazy, but as I’m sure you figured out – it’s totally worth it! Sorry for the negative encounter with the person that helped you locate a restaurant. Sadly not everyone has tact and humility. I never even thought about a volunteer opportunity at Sundance, so that’s pretty cool you had the experience to share with us! And even cooler your encounter with Mr. Redford! Sorry some of the American’s weren’t hospitable, but I hope you still enjoyed your visit. The experience definitely sounds priceless and exciting. You came across a really good opportunity and that also accidently! The access to special party and special screening is a great plus. Although I am sure this was a great experience, I love the randomness of how you ended up going. A random Google search for something completely different. The best things in life are never planned! It sounds like you had a wonderful time. I have never attended a Sundance festival nor have been a SIgn Up volunteer. But you did really great. Oh by the way that magical feeling when you first saw snow – I know that feeling very well. I came from the Philippines (and obviously there’s no snow), so I will never forget the first time I saw snow in Frankfurt. It truly is magical. This is interesting and I think it is a worthwhile activity. Thank you for the insider tips. Will ensure to prepare funds for accommodation and full meals. Appreciate the heads up that this is not provided. I am considering to be a half-fest volunteer. Once again, thank you for sharing your experience. My friend is going as media for Sundance for the first time this year. She got a jouralist grant and I never thought to go as a volunteer but one day I would like to go. Great recap of you volunteer experience. Personally, I am not a movie buff so I have never actually been for a film festival but it sounds like for someone who is, this could be a great experience. A little disappointing that they do not give accommodation and you have to bear the cost of it plus also the meals. However, getting exclusive screenings of certain movies sure sounds like a great way to compensate for that. It was interesting to read about your experience. I guess you are never going to forget those famous lines from Robert Redford. “Son, where is the bathroom”. Definitely a unique experience indeed. The “volunteer benefits” is to die for plus you got to see Robert Redford up close and personal. What an awesome experience. I could be wrong but this kind of experience you will forever remember for the rest of your life. Being at a festival like this would be so much fun! I would absolutely love to have this experience.